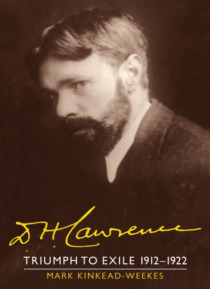 This second volume of the acclaimed Cambridge Biography of D. H. Lawrence covers the years 1912-22, the period in which Lawrence forged his reputation as one of the greatest and most controversial writers of the twentieth century. During this period Lawrence produced the trio of novels with which he was to revolutionise English fiction over the next decade. It was a painful process: Sons and Lover… s was crudely cut by its publisher; The Rainbow was destroyed by court order; and Women in Love took almost three years to find a publisher. This 1996 biography tells the writing life too, tracing the illuminating relations between man and manuscript, without confusing life and art. Drawing on previously unseen information from the Cambridge Editions of the Letters and Works, and original research, fresh light is shed on questions of Lawrence's sexuality, health, quarrels and friendships, which have been more often gossiped or theorised about than scrupulously examined.